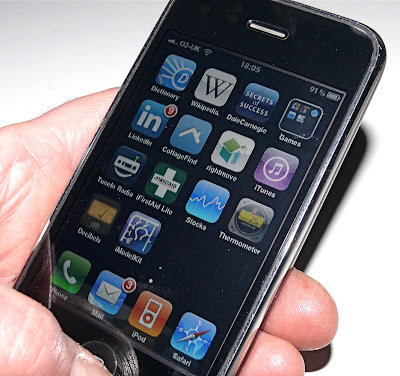 Here is an interesting item for all you iPhone and iPod touch owners out there - it’s an App for model makers, called iModelKit. Using the basic version, you have to share screen space with banner ads, but that’s fair enough, as it’s a free App. If you don’t like the ads then you can opt for the paid version - for UK buyers that’s £3.99. So what’s in iModelKit? Well, at first glance it seems fairly basic stuff, though - as is often the case with apparent simplicity - there’s a lot more going on than meets the eye. First off, iMK has colour (‘color’) charts, matching a dozen paint ranges, including those of well-known brand names such as Tamiya, Gunze-Sangyo, Revell and Humbrol. These are sort of useful, though probably not first-order essential items. Next-up there’s a paint mixer, which uses an eye dropper tool by which you can pick up shades from any website you visit. There is also a very useful Scale Computation page, in which you touch-type in any size you like in a variety of measurements (metres, feet etc). 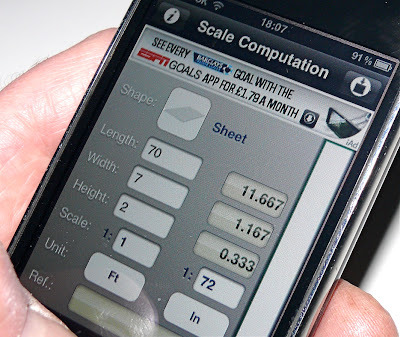 The tool then converts that size into its scale equivalent, be that 1:72, 1:144, whatever. A simple thing perhaps, but very useful, as is the ability to add notes if you wish. So should you rush to the App Store and get a copy? Well, it’s a no-brainer really - the ad-supported version is free, so get on down there and try it out! Access iModelKit via iTunes on your computer. Don’t have iTunes? It’s available free for Mac and PC here. 1 Neat icon shows a plastic kit runner with (we think) the parts for an ‘idea’ lightbulb. 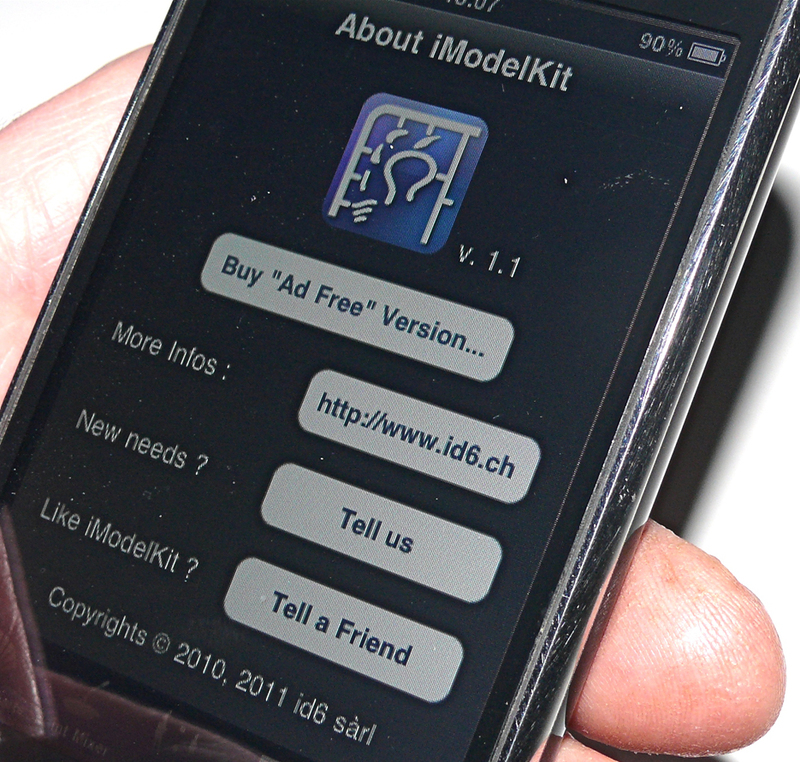 2 iModelKit appears as a standard-size image on the home screen. 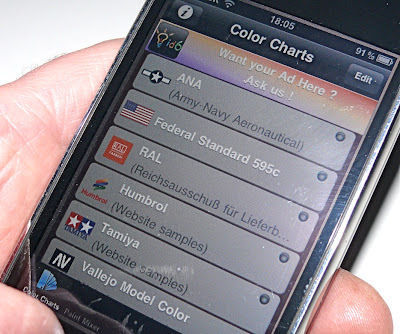 3 Colour charts have touch click-thrus to detailed information. 4 The very useful Scale Computation page. 5 And if you don’t like sharing screen real estate with ads, go for the paid version. Various paint ranges are available here.